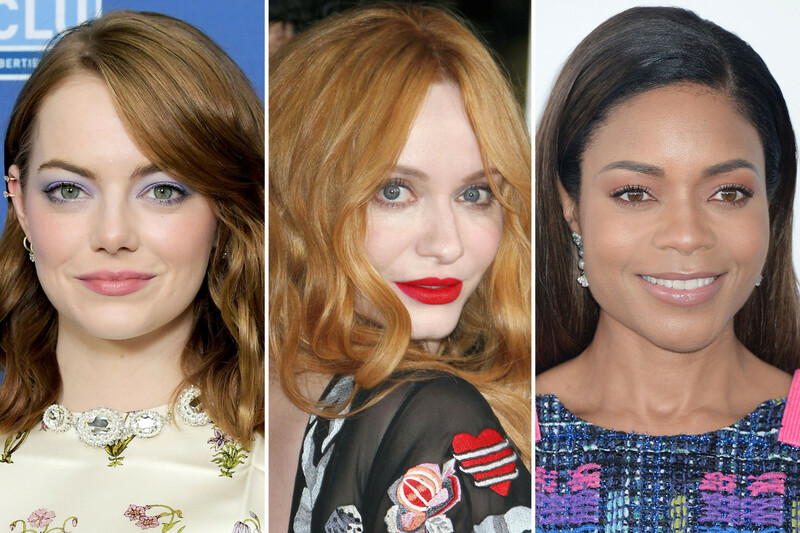 Now that awards season has drawn to a close, we return to our regular beauty programming! What I like: Christina&apos;s glamorous Boho waves, and the striking red lipstick against her porcelain skin. I like that her brows are soft and ashy, her blush is barely there, and her lashes are natural. What I&apos;d change: Nothing. 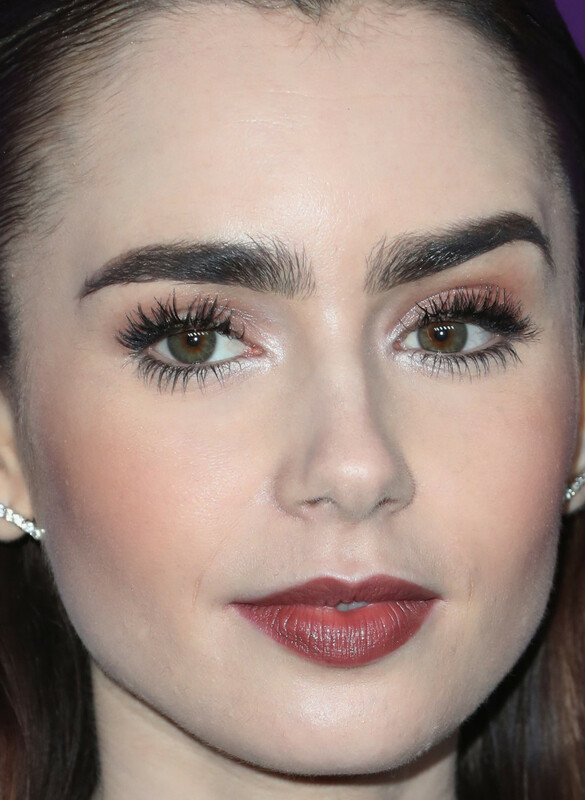 What I like: Emma&apos;s wash of lilac eyeshadow, all the way up to her brows. I&apos;ve always loved when she does this style of application; the warmer pink lips and blush make for a subtle colour-blocking effect. Her side-parted, textured lob couldn&apos;t be more perfect. What I&apos;d change: Nothing. 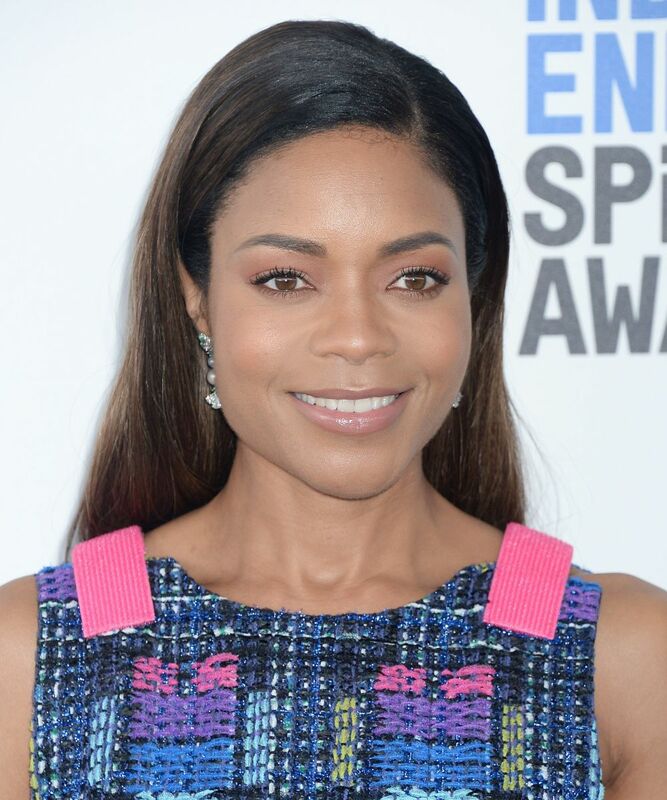 Naomie Harris at the 2017 Independent Spirit Awards. 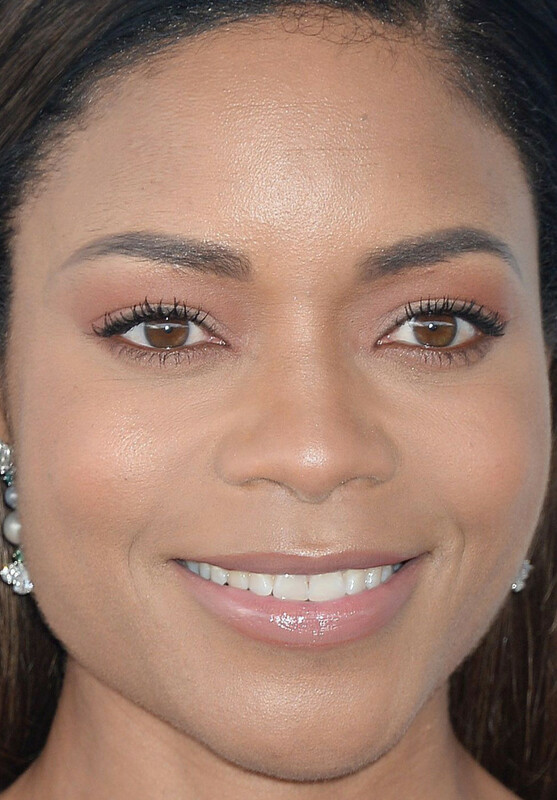 Close-up of Naomie Harris at the 2017 Independent Spirit Awards. What I like: Naomie&apos;s chic, monochromatic makeup. Instead of the predictable browns, she did sheer maroon lids and matching gloss; there&apos;s even a similar light colour in her lower waterlines (and natural lashes!). The deep side part keeps her hairstyle chic and off her face. What I&apos;d change: I&apos;d blend that lower lip liner just a tad. 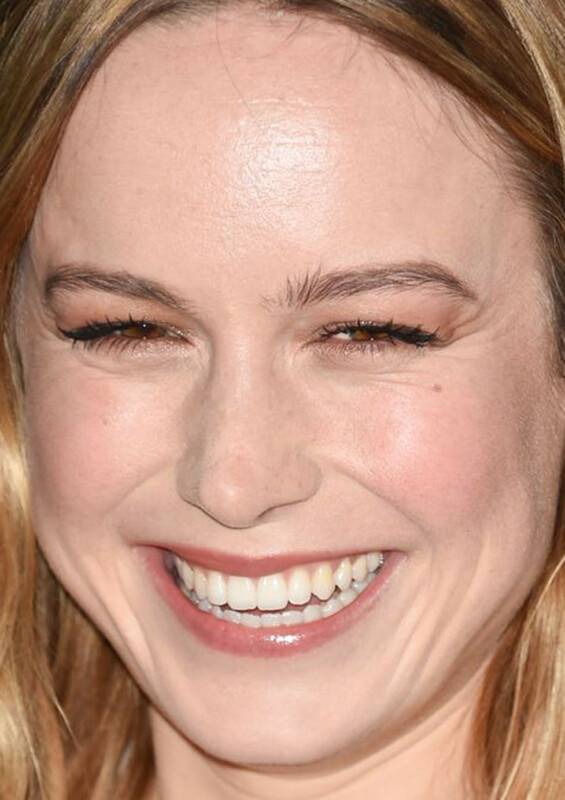 Close-up of Brie Larson at the 2017 Women in Film pre-Oscar party. What I like: Doesn&apos;t Brie look so much better here than she did at the Oscars? Less is more on her—I love the fresh skin, flushed cheeks, sheer gloss and feathery brows. Most of all, I think her beachy waves and blonde hair colour look fabulous. What I&apos;d change: Nothing. What I like: Sophie&apos;s defined lashes and subtle nod to the pink eyeshadow trend. She has beautiful skin and brows, too! Her hair looks super-healthy. What I&apos;d change: Nothing. Peyton List at the 2017 Aerie All Woman campaign pop-up. Close-up of Peyton List at the 2017 Aerie All Woman campaign pop-up. What I like: It&apos;s all about that glow on Peyton&apos;s cheek. It&apos;s nice to see an 18-year-old showing off her lovely skin, instead of piling on the foundation like we saw at Kids&apos; Choice. Brows and lashes are natural, too, and the lip stain is so pretty. What I&apos;d change: Nothing. Amy Adams at the 2017 BAFTA Nespresso nominees party. Close-up of Amy Adams at the 2017 BAFTA Nespresso nominees party. What I like: Amy&apos;s side-parted strawberry waves and bold pink lip gloss. Also, let&apos;s applaud her for not Botoxing the heck out of her skin, like so many of her peers! As usual, she&apos;s got some shimmer around her eyes, but her brows look bolder than usual this time. What I&apos;d change: Nothing. Lily Collins at the 2017 Costume Designers Guild Awards. 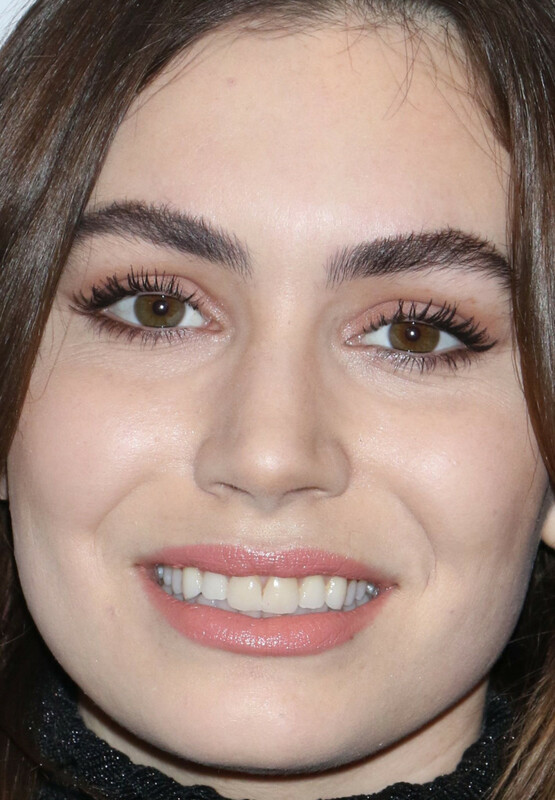 Close-up of Lily Collins at the 2017 Costume Designers Guild Awards. What I like: Lily&apos;s Gothic glamour. 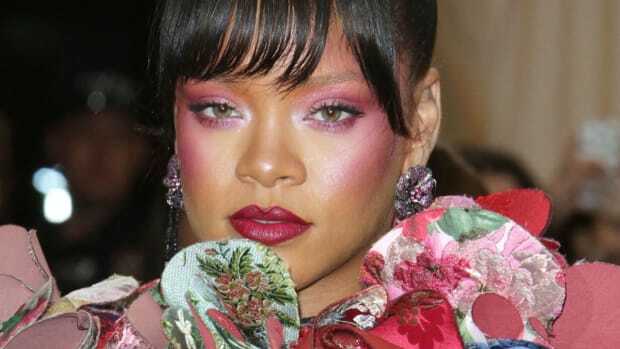 She really went for it again, with dramatic berry lips, extra-long lashes and lots of blush. I think it helps that her hair is slicked at the roots and all off her face. Plus, her brows make everything better. What I&apos;d change: I&apos;m okay with the lashes actually, but I feel like the blush shade is a bit off. 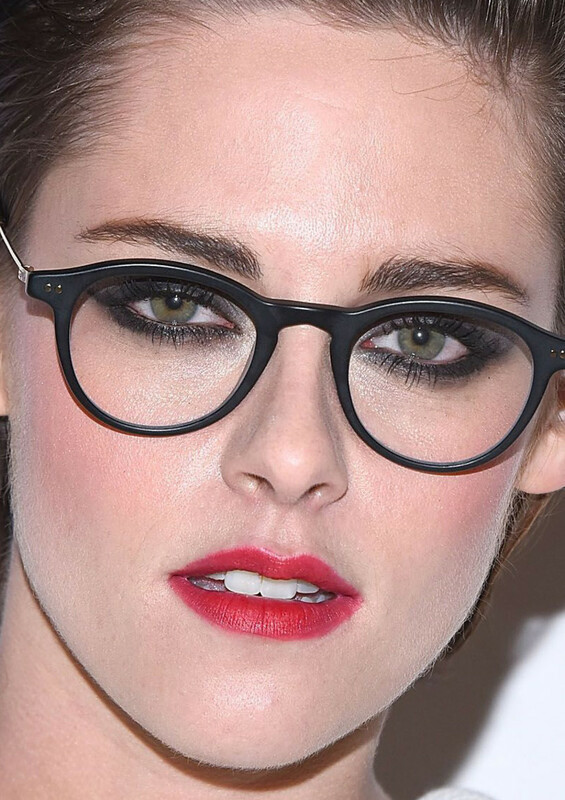 What I like: Kristen&apos;s chunky black glasses, red lipstick, sooty liner and effortless short hairstyle. This was just before she shaved it all off and dyed it blonde, of course. What a shame, because this is one of my favourite looks on her ever! What I&apos;d change: Her brows pencil&apos;s a bit too red, but you don&apos;t really notice it. Camilla Belle at the 2017 Women in Film pre-Oscar party. 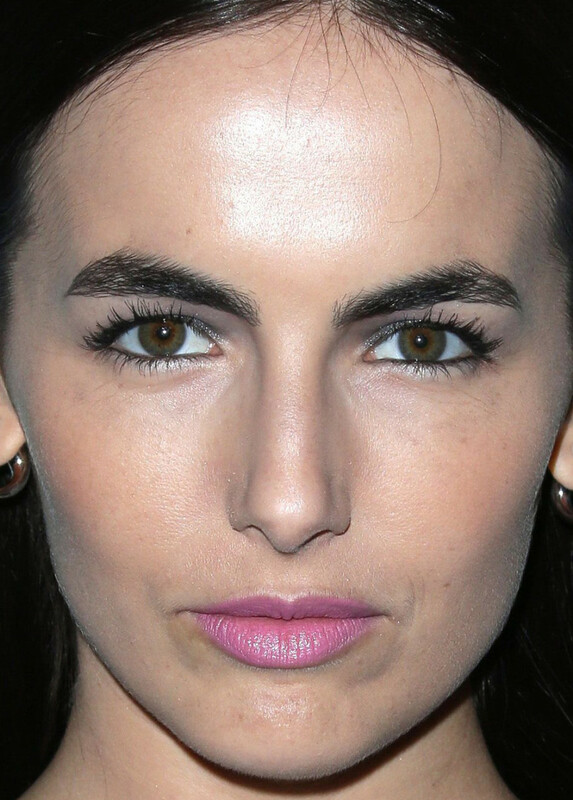 Close-up of Camilla Belle at the 2017 Women in Film pre-Oscar party. What I like: Camilla&apos;s candy pink lipstick. So few people look good in this colour (including me!) but it&apos;s always amazing on her. I also like her tightlining, strong brows and apparently foundation-free skin. What I&apos;d change: Nothing. What I like: AnnaSophia&apos;s lived-in makeup. (She has such pretty eyes and bone structure that truth be told, any makeup would look gorge on her!) Her lashes look fluffy, with some smudgy grey liner along the top and what appears to be bronze on the bottom. I also like the sheer orange lips, and her half-up hairstyle. What I&apos;d change: Nothing. Kate Upton at the 2017 MusiCares Person of the Year Gala. Close-up of Kate Upton at the 2017 MusiCares Person of the Year Gala. What I like: Kate&apos;s baby pink lipstick, fresh skin, darkened brows and simple updo. Also, this is how you do false eyelashes without them overpowering your entire face! What I&apos;d change: Nothing. America Ferrera at the 2017 Directors Guild Awards. 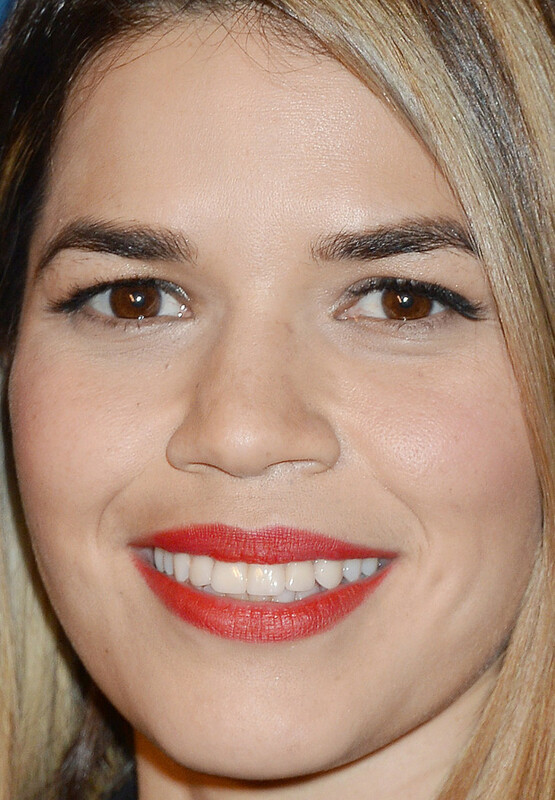 Close-up of America Ferrera at the 2017 Directors Guild Awards. What I like: America&apos;s warm red lipstick and new straight bob. I think the blonde kind of washes her out, but everyone should get to play with their colour at least once! I&apos;m glad she kept her brows dark. What I&apos;d change: Nothing. What I like: Reese looks so cute here! She really has great skin. I always like these smudgy, purplish smoky eyes on her; the glossy pink lipstick and liner help give the illusion of fuller lips. The soft, wavy hairstyle is also great. What I&apos;d change: Her blush looks a little muddy. Allison Williams at the 2017 NFL Honors Awards. 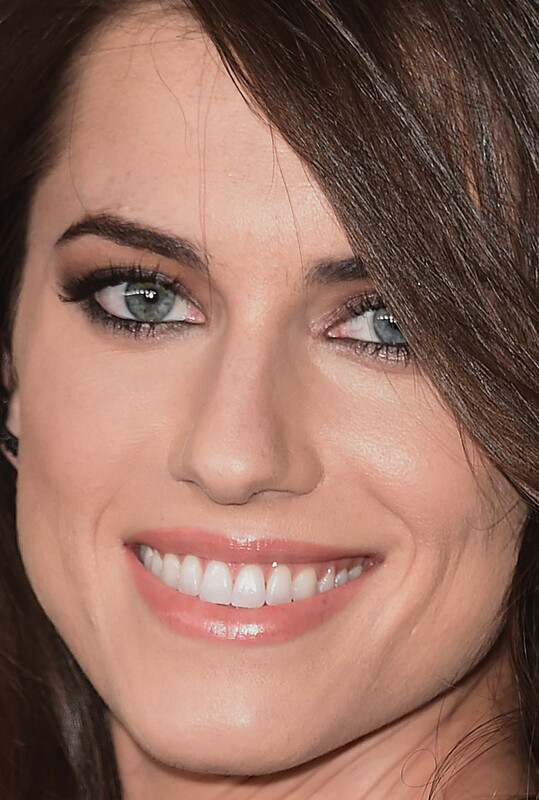 Close-up of Allison Williams at the 2017 NFL Honors Awards. 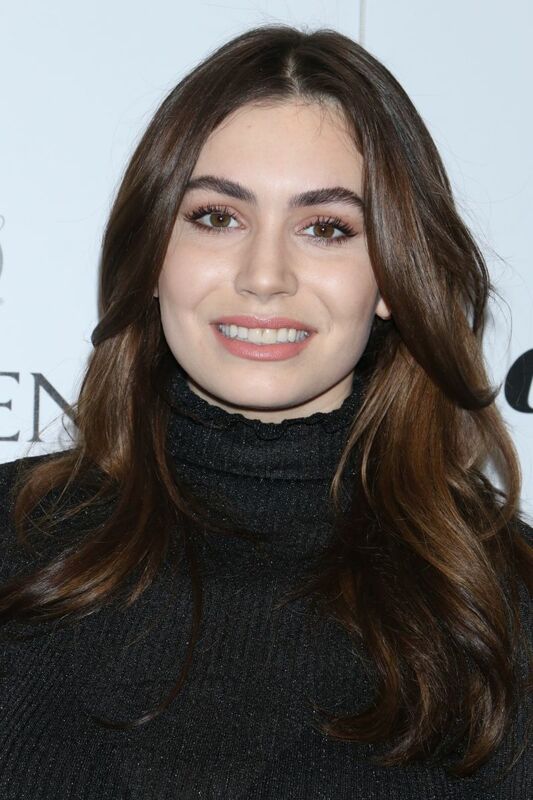 What I like: Allison&apos;s long, loose brunette waves and tightlined eyes. 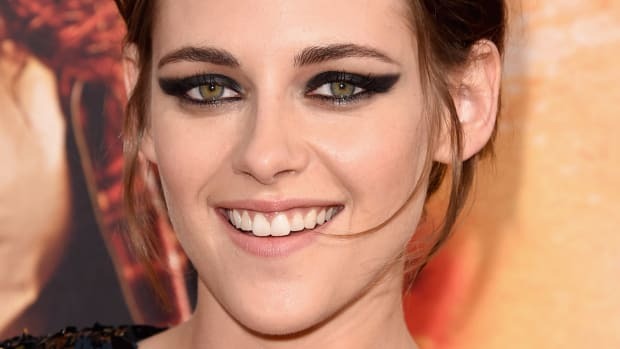 Like Kristen Stewart, this is from before she dyed her hair blonde—again, too bad because this is the prettiest I&apos;ve seen her look. (I was shocked at her blonde on the cover of Allure... it looks so fried!) Usually, I find she goes too heavy on the blush and contour, but there&apos;s none of that here. What I&apos;d change: Nothing. Yara Shahidi at the 2017 NAACP Image Awards. 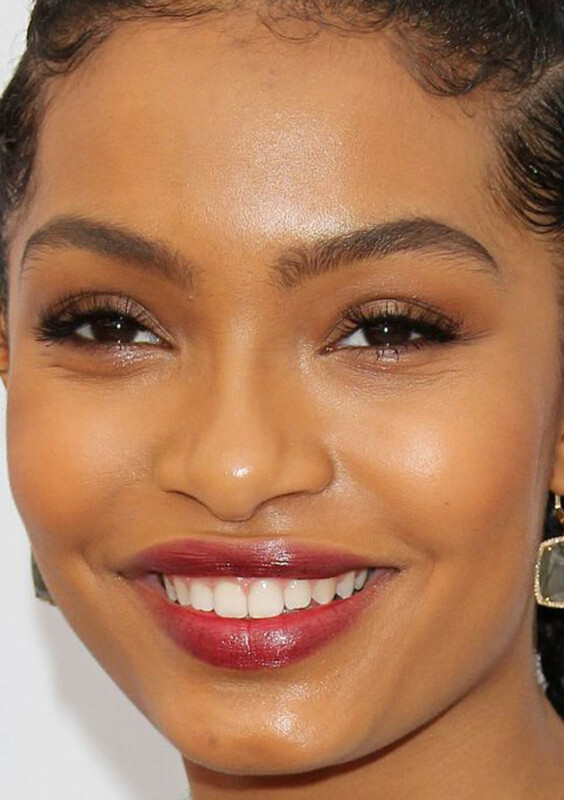 Close-up of Yara Shahidi at the 2017 NAACP Image Awards. What I like: Yara&apos;s berry lip gloss and braids. (There are actually two braids here, same as her Elle Women in Hollywood Awards hairstyle.) I love her brows and how she kept her lashes super-soft. What I&apos;d change: I&apos;m all for glowy skin, but I might blot down a bit of this shine. Felicity Jones at the 2017 BAFTA Awards. Close-up of Felicity Jones at the 2017 BAFTA Awards. What I like: Felicity&apos;s faux curtain bangs. (How does she her hair to do that?!) I love that it doesn&apos;t look too "done." As usual, she emphasized her eyes—this time by smoking out a cat eye—and chose a soft pink for her lips and cheeks. What I&apos;d change: Nothing. Riley Keough at the 2017 Independent Spirit Awards. Close-up of Riley Keough at the 2017 Independent Spirit Awards. What I like: Riley&apos;s super-long, super-straight, centre-parted hair. She&apos;s got such a unique look, doesn&apos;t she? I also like the shimmer at the inner corners of her eyes. 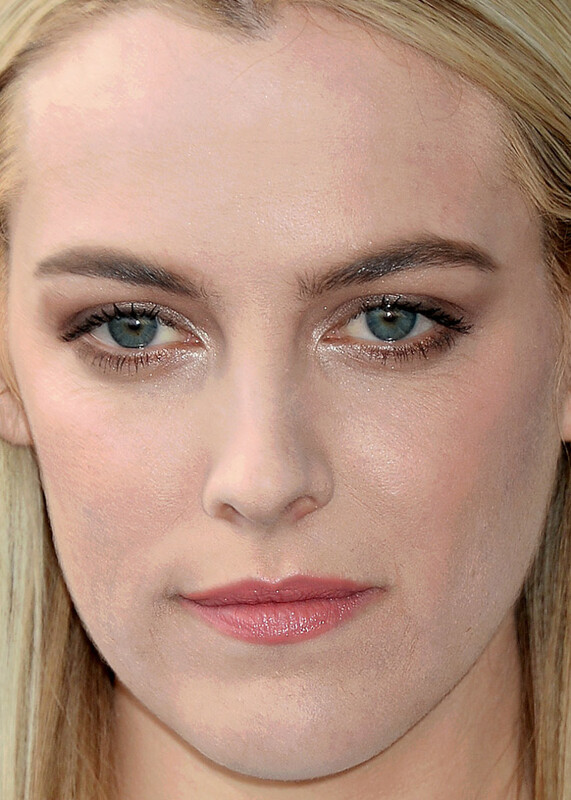 What I&apos;d change: I prefer her hair darker and more red (like at Cannes last year). Her skin looks a little dry, but it happens! Zoë Saldana at the 2017 Cadillac Celebrates Oscar Week event. Close-up of Zoë Saldana at the 2017 Cadillac Celebrates Oscar Week event. What I like: How amazing areZoë&apos;s eyes here?! I love how there&apos;s black in the waterlines, all the way around, and a smoky-to-sheer purplish tone on the lids. Her skin looks glowy and her hair is so shiny. What I&apos;d change: There&apos;s a bit of a mismatch from her face to neck and chest... but not sure that could be corrected without getting too makeuppy. 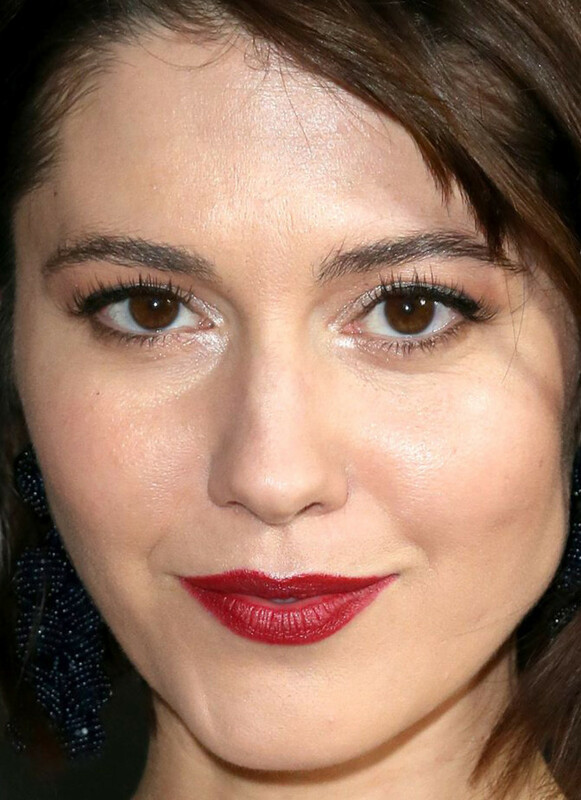 What I like: The highlights at the inner corners of Mary&apos;s eyes, and her classic pairing of red lipstick and black liner. Her lashes and brows are soft, and her hair has nice texture. What I&apos;d change: Nothing. Ellie Bamber at the 2017 ELLE Style Awards. Close-up of Ellie Bamber at the 2017 ELLE Style Awards. What I like: Ellie&apos;s sequins! This is a red carpet twist on the runway look, and she paired them with the most stunning peaches and cream skin (and lips). Loose, undone hair dresses them down. What I&apos;d change: I so wish she didn&apos;t add the extreme false lashes! It really dampens the coolness factor (as does her accessorizing). Kate Beckinsale at the 2017 Independent Spirit Awards. Close-up of Kate Beckinsale at the 2017 Independent Spirit Awards. What I like: Kate&apos;s ponytail with face-framing tendrils, and her sheer pink lip gloss. I also like the chunky natural lashes and smudgy brown liner under her eyes. What I&apos;d change: Nothing. What I like: Sienna&apos;s mini braids and loose waves. I also like that we can see her freckles, and her lashes are super-soft and fluffy. What I&apos;d change: Her skin looks a bit red and her lips a bit dry. (Post-procedure, perhaps?) I think a darker brow colour would be better. I can&apos;t believe she is doing the Heidi Klum white eyeliner thing in her lower waterlines!